Thanks to technology, healthcare practices can now turn their websites into online patient engagement platforms that help in the management of their patients’ healthcare experiences. With the right online approach, you can easily provide a full range of online healthcare support, from managing records and test results to enabling appointment requests, to offering secure bill pay options. Patients want easier ways to communicate with their healthcare providers. Specifically, they want a way to interact with your practice online. Requesting appointments, automated reminders, sending secure messages and seeing test results online are just some of the ways you can make life easier for your patients – and improve their satisfaction at the same time. Patients want to feel empowered and involved in their own care and a secure patient portal allows them to do this, while still leaving you in control of their healthcare. Plus, a patient portal will streamline your own office functions which makes it a win-win for everyone. Patients are looking for health information online in record numbers. The latest studies show that more than 80% of internet users have searched for a health-related issue online. Your website should provide your patients with a trusted and reliable resource, where they can find accurate, easy-to-understand educational information. Without this, you’ll find yourself spending unnecessary time dispelling incorrect self-diagnosis or convincing your patients than an unproven remedy won’t help them. The ability to pay bills online is a major convenience as well as a faster way to get payments. More than 60% of all Americans are using digital banking to pay their bills, and studies have shown that more than half of adults would consider switching doctors if they had the opportunity to pay their healthcare bills online. Why not give your patients an option to pay their medical bill online? It’s great for them from a convenience perspective. Plus statistics show that offering an easy online way to pay a bill results in higher collections. iHealthSpot is a full-service digital marketing partner that can support the unique needs of your healthcare practice. From award-winning medical website design and proprietary patient education content to our popular iHealthSpot Patient Generation platform, we enable medical practitioners to market themselves using proven digital marketing strategies. Wellness initiatives are also on the rise for the coming year. More people are seeking information that helps them improve both their physical and mental health through positive lifestyle changes. This means that every medical practitioner should be creating engaging, educational content about wellness – for their websites, their blogs, and their social media platforms. To help supplement their own content, they should be highlighting breaking news articles from respected medical publications, on topics relating to wellness and their specialty. The ever-growing use of social media platforms by everyone means that influencer marketing will become even more significant in 2018 than it’s ever been before. Influencer marketing is all about “word of mouth” posts on social media, with the influencer being someone who has the attention (and loyalty) of your current and future patients. Based on statistics, more than 70 percent of patients are more likely to book an appointment based on a reference from a social network. This makes social media for doctors and medical professionals a key channel for patient engagement. More engaged patients mean more appointments and increased referrals, making social media – and influencer marketing – the ultimate business driver for healthcare practices. Accessibility is more important than ever. You don’t want your patients to feel abandoned or think that they’re just a number. In 2018, healthcare providers will be taking a more patient-centric approach. This will impact every aspect of a patient’s experience, from in-office interaction to online experience – including their websites and patient portals. Most patient portals were launched to achieve meaningful use reimbursements from CMS, not to improve patient engagement. This will change significantly in the next year, with more medical practices upgrading their patient portals to ensure that two-way patient communication happens effectively and efficiently. By making health records more easily delivered and retrieved, and by enabling patients to interact with them at any time of the day or night, they’ll improve patient satisfaction, and increase referrals! Hopefully, this blog has given you some new ideas for how to evolve your marketing strategy in 2018. If you are interested in learning more about what iHealthSpot can do to help evolve your marketing strategy, give us a call, toll-free at (877) 709-0999 for your FREE consultation with our marketing experts today! Be responsive with your website. This is no longer a ‘nice to have’ feature. It’s a requirement that can’t be ignored – today’s society is mobile, and it’s not going to change. This means your website design needs to be responsive, so that it looks the same when viewed from any type of device. Not sure if your website is responsive? Test it on all platforms, and all internet browsers, to ensure your patients have a consistently high-quality experience, regardless of when and where they view your site. When used in the right way, stock photos add visually interesting and compelling content to your website. They’re a much less expensive alternative to professionally-shot photos – and can be a great last-minute solution when you need something asap. However, we’ve been noticing a decline in the use of stock photos on medical websites. Instead, we’re seeing more ‘original’ photos that relate to your practice, rather than a generic image. It’s all about authenticity. Your website should serve a purpose, so everything on it – including the images – should do so too. Plus, photos of you and your team will help put a ‘real’ face to your brand. We’re seeing long-scrolling websites more and more. This could be due to the success of popular social media sites like Facebook, which enable us to scroll for hours, constantly seeing new content. People are used to this style of internet browsing, finding it a seamless and intuitive way to read online content. Plus, these long pages look great on all devices, from computers to tablets to cell phones. Are you ready to refresh your website with some of these new design trends? Or do you need to design a brand new website? Contact iHealthSpot today at 877-709-0999 for your FREE consultation with the medical website design experts! 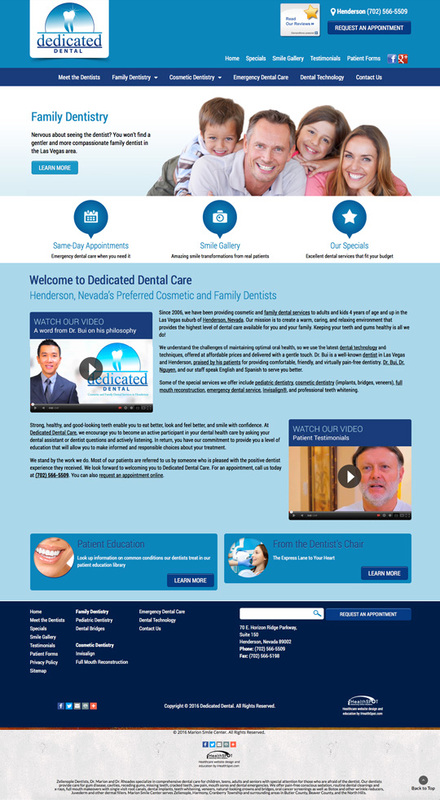 Many healthcare professionals find themselves wondering if they should pay for a professional web design service or do it themselves. After all, sites like Wix, 1&1, and several others have built an entire business model around selling DIY (do it yourself)-friendly websites to businesses. They sell you on the premise that you can create a custom, functional website on your own without knowing anything about web design. Well, it’s simply not that easy. Do you really want a homemade website for your business anyway? You will end up with a cookie-cutter site that is as unique as a dollar bill. In order to provide customers with a DIY web design option, sites like Wix offer a choice of templates for websites that are stripped of almost all customizable features. As such, there are hundreds of sites across the internet that look exactly the same because they were all built using the same template. What you get is a cookie-cutter website that is about as unique as a dollar bill. You need to know how websites work (and medical websites are harder). There are entire college degrees dedicated to web design. If it were as easy as those sites make it seem, why would a web designer need to have a degree? Why would companies be willing to pay top dollar to build the best web design team possible? It is misleading to think that you can design your own website without any prior knowledge or experience. If you don’t have some idea of how websites are developed, then you will quickly realize a DIY or template website is much harder than it looks, especially medical website design, which has to be totally secure, HIPAA compliant, and with easy-to-understand patient-friendly information. Websites require maintenance. There are updates to software and constant tasks that need to be done to reach the highest rankings in search engines. Only a professional should do these things, otherwise, you could end up crashing your own site or getting black-listed by Google. If you want to pick up web design as a side job, this might be one way to see if you like it. Having trouble with your website or want to change or add something? Guess what. Troubleshooting is DIY, too. You’ll spend hours reading through information that might lead you to the right answer, and even then, the solution is usually trial and error because you don’t really understand what you’re reading. Do you really have time to create and maintain and fix your own website? Probably not. DIY or template websites might work for some people, but not most. We have several doctors who have tried doing a website themselves and eventually decide to seek professional help because the task becomes too difficult and they end up abandoning it half way into the process, meaning no website ever gets launched! Save yourself the time and trouble and skip the DIY option. Medical professionals come to iHealthSpot because they want a site that is customized to fit the unique needs of their medical practice. They don’t want a cookie-cutter website. They want a site that will look great and function properly for years to come. 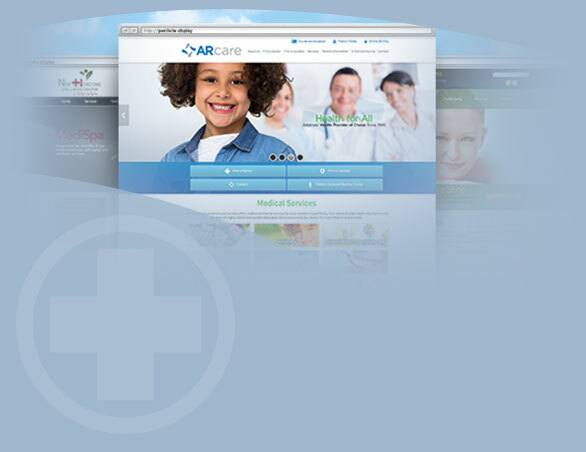 They want to rely on a team of medical web design professionals for web maintenance, changes, and troubleshooting. If you are worried this will break the bank – don’t! A professionally developed website does not have to cost a fortune and with us, it doesn’t! If this sounds like what you’re looking for, give us a call – we can get started today. (877) 709-0999. When it comes to establishing online trust for your healthcare practice, yes your site needs to have engaging content and yes compelling calls-to-action and page speed are important. But If people who visit your site have any doubts about how trustworthy you are, they’ll leave and never come back. When considering treatments, costs, and medications, patients trust information that comes from their healthcare providers. However, before they even make an appointment, they’ll typically consult online sources. In fact, according to the latest polls, more than 150 million Americans search for health information online. Using your website to provide specialty-specific patient education enables you to become their trusted online source. Generic stock photos are everywhere. While there’s nothing wrong with using them in the right places, it’s good to use photos of you and your team in real situations. Patients want to know that their healthcare providers are real people, not faceless entities. They’re much more likely to trust what you have to say if you’re willing to show your face. And in addition to building trust, it will help build recognition for you personally. Also, make sure you have a strong “About Us” page. After the homepage, it’s typically one of the most popular pages on a website, and often one of the most neglected. Your “About Us” page should feature important and long-standing members of your team and include details regarding their skills and expertise, in addition to their photos. This can go a long way toward building rapport and trust with new patients, as they’ll feel like they really “know” who they’re entrusting with their health. In addition, make sure that when developing your medical website, you create a personalized message from yourself. Yes, your schooling, credentials, and associations are all very important to display on your site. But if a prospective patient sees a quote or message from the provider – welcoming them to their practice or providing a few words on why they do what they do, this goes a long way to making a doctor seem human to a patient and will ensure your office is a place they want to go for their healthcare needs. If you are interested in learning more about ways you can increase patient trust with your medical website design, contact us today, toll-free at (877) 709-0999 for a FREE consultation with our experts!